Special Report - Lexical Inferencing… A Chance to Demand High? In essence, in order to appropriately infer meaning we need the bigger picture. In language teaching this bigger picture is context. Context is not the only way we infer meaning however, but it is always the first step, a top down approach, to infer meaning of new vocabulary. Most articles and studies in the field of lexical inferencing are quite linguistic in nature and can often overwhelm the EFL or ESL teacher who would like to experiment with challenging their learners and encouraging them to reflect at deeper levels. In pedagogical literature it tends to be mentioned in passing (Thornbury 2002: 148) or explicitly avoided (Ur 1991:202) and without much usefuladvice for classroom application. Hence the scope of this article, a quick introduction to lexical inferencing and suggestions on how to demand high through meaningful questions in order to harness lexical inferencing strategies in the language classroom so as to increase potential retention (Haastrup 1991:29) with particular reference to lexical items occurring in written texts. From the context we know that a ‘luder’ is not something you’d ever strive to be. Is it a formal or informal situation? Is a ‘luder’ something positive or negative? What do the boys think about the other boy’s driving? What do you think “luder” means? For the purists among us, the word ‘luder’ is from the Irish ludramhain /’lu:drəmɔ:n/ which means ‘fool’. In a top down approach to lexical inferencing a good strategy is to blank out the words somehow so that the learners are forced to go above the word level and draw on clues which lie outside the word itself. The word could be gapped with a line, blacked out or substituted with a nonsense word. By starting from this point the challenge level can be adjusted more readily on the spot. Starting from a bottom up approach can compromise the challenge level as the ‘game is given away’ too quickly and therefore the demand high nature of the task could be lost. Therefore, questions about the context, register and discourse communities around the text, in our example childhood friends, may enable to learners to reflect more usefully on potential cultural issues and, therefore, might be more demand high. A synonym is a word with the same or nearly the same meaning. For example, ‘small’ and ‘little’ are synonyms of each other. If you consider their meanings more deeply, though, you will notice that ‘little’ carries the meaning of not just size but also the speaker’s attitude towards the object or person being described. This is true for most ‘synonyms’ in English. If all the words were really doing their job well we wouldn’t need so many ‘near synonyms’ which mean almost the same thing but have a grain of extra meaning. Therefore ‘little’ and ‘skimpy’ show a positive and negative attitude respectively towards a portion size, for example, and ‘small’ is neutral. Antonyms, on the other hand, are words with opposite meanings such as ‘short’ and ‘long’. Mutual exclusives such as ‘dead’ and ‘alive’ are sub-categorised as complements (Graddol et al. 1994:111) and cannot have any other opposites. Other examples are ‘father’ and ‘son’, ‘husband’ and ‘wife’ etc. Does he write badly? No. Is he not a bad writer? Yes. Weaker students would find the negatives very confusing and assume that ‘dreadful’ means ‘not bad’. Therefore, this will mean that the learners need to scour the previous and subsequent lines of the text around where the word sits in order to arrive at an informed conclusion. If a list of synonyms and antonyms is provided immediately you could be setting up a potential moment of haphazard guesswork which is not conducive to lexical inferencing skills at all. The board is possibly a more useful tool here to drip feed the list of synonyms and antonyms to the learners when training them to use these skills initially for this reason. Perhaps a pair of words of which only one is the correct option would help somewhat here. Eliciting justifications for choice of word made is essential as the learners will be forced to explicitly state the ‘clues’ which led to their choice. Carton (1971) set out a neat trio of terms to show that these clues can occur at intralingual (sentence), extralingual (schematic) and interlingual (between languages) level. This ‘think aloud (pair) problem solving’ (TAPPS) (Lochhead and Whimbey 1987) strategy should be encouraged as often as possible between students, and teacher with student(s), and is currently the only tool available to researchers in the field. It is also, in my opinion the type of task which is promoted by demand high teaching moments where the learners are pushed to reflect and think at much deeper levels and for longer periods of time than is normally expected but such sustained effort requires teacher orchestration (Bingham Wesche & Pribakht 2010). Despite the apparent simplicity of synonyms and antonyms it is my belief that many of these antonym and synonym tasks could prove counter-productive as the learner will more than likely rely on the old reliable word rather than make the new word part of their lexicon. I say this because I cannot remember a single incident where inference via synonyms or antonyms occurred when I was learning Italian. The logic being perhaps, why learn a new word when you already have a similar one which seems to do the job quite well?’ It may be something akin to going out to buy a whole new wardrobe of clothes when what you have is fine…so there will certainly be people out there who are serial gatherers of clothes and, of course, words. The teacher’s trick should be in highlighting the slightly different meaning between the old and new synonym or antonym in order to illustrate the value of the new word. A well placed prompt or question would go far in these moments I believe in order to demand high and push learners into deeper understanding of a text and increase potential of retention. These are words which are subordinate to a word with a more general meaning, for example: rose, lily, tulip are hyponymy of flowers. The word ‘flower’ however, is the hypernym of rose, lily etc. An example of how this fact might help lexical inference? I remember being an avid reader of a girl’s comic called Misty many many moons ago. One of the stories in this comic carried the word ‘rhododendren’ . Not being much of a gardener back then either I could have been at a loss as to what a ‘rhododendren’ actually was but given that the actual text said something on the lines of: “She smelt the roses and rhododendron as she walked up the path…” I was convinced that it was some sort of flower but discovered later that it is a shrub. Now, bitter debates may erupt between horticulturalists if I had dared declare that a rhododendron was a flower but for all purposes that I might ever need to use the word, assuming that it was a flower was absolutely fine. What else could it be? A tree, shrub, weed, bush, tree – anything that grows in a garden, basically. One of my favourite definitions of collocations is ‘how words hang out together’ as it really gives you the idea of little communities or groups of words that frequent the same hotspots together. More technically, it is how words tend to co-occur at lexical level (Lewis 2008:8). This co-occurence is often very difficult to guess or certainly justify. An example of how I inferred meaning from collocation many years ago was when I was reading Herman Hesse’s (1973) Siddhartha in Italian. From the start, Siddhartha ‘giaceva’ everywhere;on the ground, on the grass, on his bed. Being a lazy dictionary user it took me a couple of chapters to infer that giaceva must mean ‘lie down’. It is, in fact the imperfect form of ‘to lie down’. It hung out with too many horizontal surfaces to mean anything else. In a classroom situation one of the best tools for collocations is the substitution table. This is reiterated many times by Lewis (2008). For example the verb ‘to have’ can be collocated as in table 1 below, to exemplify and some useful teacher questions about possible categories for the different meanings of ‘have’ would certainly push students to reflect at a deeper level. Table 2, however, would challenge the learners much more. If a teacher wanted to demand high they could ask the learners to justify their combinations. The teacher could also play devil’s advocate by proposing some awkward combinations and asking why these are acceptable or not. For example, ‘I have a dog in my pocket’ is not as absurd as it might seem. My brother’s pocket was the means of transport for our long gone family dog, Ratzer, many many moons ago. Such short anecdotes, sometimes seen as tangents on formal training courses, are, however, another meaningful encounter for the learners with the target item. It might sound ridiculous but how the word looks from a visual point of view can help many learners. Obviously compound nouns carry two nouns where one of the nouns, usually the first in the compound, behaves like an adjective . So a toothbrush is a brush (noun) for cleaning your teeth (function). A hair-dryer dries (function) your hair (noun). However, it seems that the more time passes the less relevance the name of the item has to the object and for teaching purposes this is a disaster. The ‘walk-man’ didn’t pick you up and carry you places. The iPod looks nothing like a pod. So, branding has taken over somewhat in more recent times. However, for inventions which range from the middle ages up to the early 80s the use of compound nouns is a common phenomenon and worth considering for this reason (Licata 2013). Specialist words, or professional jargon, may require a more bottom up strategy when the target language is close to the learners’ first language (L1) or if these terms have been borrowed from another language as is the case for many legal and medical terms in English. In such instances comparisons between first and target language items should be encouraged as these may draw on the interlingual clues (Carton 1971) such as spelling or affixation. Anthony Burgess’ (1962) A Clockwork Orange is a go-to favourite of mine for activating lexical inferencing strategies during seminars but if a native Russian speaker were present they would not see the point as Burgess relied heavily on Russian in order to force the native English speaker into unfamiliarity at a lexical level. Native speakers of Latin based languages, however, would be at an advantage with most English legal and medical terms. Therefore, consideration of learners’ L1 and their L2/3 etc., if not English, obviously has an important role to play when dealing with interlingual clues. In more focused learning contexts, the learners’ profession may play an equally important role as a lawyer, nurse or doctor would have a better chance at grasping medical or legal terms in English due to the specialist jargon they are exposed to on a daily basis in their L1. An example of exploiting ‘how the word looks’ I would like to strategically use here are the words ‘epidermolysis bollosa‘. There are three clear indicators here that the word is a skin disorder/disease. From our own world experience we’ve heard of halitosis, thrombosis and possibly myxomatosis. So we know that the suffix ‘-sis’ tends to indicate a medical condition or disease. The ‘epiderm’ obviously means skin and even if you’ve never opened a biology book you have probably heard of some skin care product with ‘derm’ embedded in its name. The ‘bollosa’ part sounds like boils, or something unpleasant, because your brain has managed to pare down to limited possibilities what epiderrmolysis means and jump to a conclusion for what ‘bollosa’ probably means. In addition to this, there is the potential phonological sounding out of ‘bollosa’ which obviously has an etymological root which can be linked to boils . So, because the word contained a spelling pattern we’ve seen before and the affixation, we can tip this knowledge onto the third word and make an informed guess that ‘epidermolysis bollosa’ is a medical condition or disease. However, this can be misleading too as in the case of impeachment, for example, but it may allow the teacher to play devil’s advocate (Scrivener & Underhill 2013) once more in demand high moments in the classroom . What other words have the ending ‘-sis’? So if epidermolysis is a disease of the skin what do you think bollosa means? Closely related to affixation is ‘part of speech’ when we discuss lexical inferencing strategies. Probably every teacher has dealt with lexical inferencing at this level where a student gets a ‘blind spot’ and cannot see that the word which is causing her trouble is a close relative of another word which might be familiar to her in verb or noun form. So again we should work out from the root of the word. In the classroom you could ask learners to underline the root of the word and to identify the remaining parts of the word. So, to use Haastrup’s (1991) ‘indisciminately’ example- it clearly comes from the verb ‘to discriminate’ but here it is an adverb and probably means the opposite because of the pre-fix ‘in’. Here lies a solid example of how declarative (knowing ‘what’) and procedural knowledge (knowing ‘how’) work together in shaping meaning around the unknown word . In Merrill Swain’s (1995) output hypothesis learners are capable of providing themselves with their own comprehensible input+1 (Krashen 1986). Therefore it is highly likely that the more we probe learners’ declarative and procedural knowledge of an item in a teaching moment the more the teacher is demanding high and creating the ‘prefect storm’ so to speak for language acquisition to occur, but more of that later. Although not a category as such the connotations we link to words reflect our social and cultural experiences. This leads me to comment on how connotation can change or shift over time. When I was interviewed for my CELTA course 18 years ago I was asked to describe what the differences were between ‘skinny’ and ‘thin’. Now, there are a number of people who would say that being called ‘skinny’ is a compliment today but 18 years ago there was a clearly negative connotation to the word ‘skinny’. Unfortunately, the number of products that exploit this change in connotation are many, skinny jeans is an example that comes to mind, and without a doubt advertising has a huge role in changing language and connotation. In the classroom you could simply ask the learners if they think the word means something good or bad, positive or negative. Some words are completely neutral, such as ‘thin’ and ‘small’, and asking a connotation question will help in these cases also and increase the demand on learners to process the language at a deeper level. Another strategy to involve demand high moments where connotation is being dealt with in the classroom could be to encourage L1 comparisons (Carton 1971) with the target item in order to highlight the connotation of the target item more thoroughly. What type of word is it? Does it refer to a person or a thing? Is it plural or singular? Listen to X…how are they saying it? Say it like a child. Say it like a mother. Say it like a teenager. Use it in a formal situation! Is it OK for a child to call an adult a ‘luder’? What might the adjective be? Is there a verb form? Put it in a negative sentence. Put it in an interrogative sentence. 11. Would English people use this word? 12. How do Irish people pronounce the ‘er’ suffix usually? 13. Do you know any ‘luders’? Who are they? Why are they ‘luders’? 14. Have you ever been a ‘luder’? Obviously, the more experienced teacher will realise that the last 4 questions above are moving towards procedural knowledge and sourcing of long term memory which is clearly a good strategy. There is also an ideal order to all the questions above which might involve moving back and forth between categories but working systematically through the questions would also help to create the perfect storm which seems to be brewing at the foundations of the demand high meme. I would, however, argue that it is essential for teachers to analyse target items and craft meaningful questions or prompts at planning stages rather than rely on their instincts ‘on the spot’ which seems to be at odds with some of the literature emerging from the Demand High debate and discussions. This type of planning would place the teacher herself in a much more informed position in order to determine what is a useful TAPPS and how to exploit these fully in demand high moments of a systems focused lesson by encouraging different strategies through well-placed questions and increase the potential of retention (Haastrup 1991). 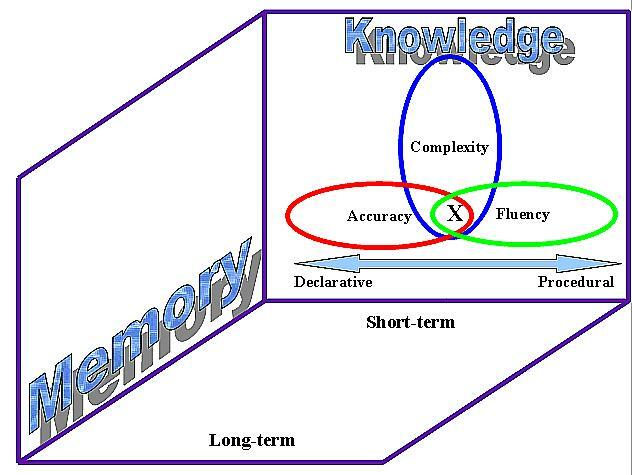 On the down-side, there is no account for how demand high teaching can transform declarative knowledge into procedural knowledge and move beyond short term memory retention. There is also the indirect re-kindling of the learning-acquisition debate where the activation of the learner’s monitor (Krashen 1986), or formal teaching and correction, is no guarantee of acquisition. However, this may not be the case in the skills of reading and writing where the monitor would naturally be more active (Stern 1983:404) and therefore give more support to a demand high teaching moment involving these 2 skills which, in turn, adds support to the lexical inferencing classroom suggestions and ‘perfect storm’ proposal set out above. Regardless of skill involved, a fine line needs to be drawn between what might be useful, thought-provoking questions and tasks and what might be perceived as essentially a ‘hokey method’ which could, at its worst, do damage to the classroom dynamic and general integrity of the profession and the professionals proposing it. Despite the challenges involved in planning, I believe that a lexical inferencing lesson, or lesson part, is well worth a try as the teacher has as much to learn from planning and implementing the lesson as the learners have from participating in it. The importance of designing questions is obvious. Learners may be pushed to reflect at deeper levels. For this reason, lexical inferencing lessons or lesson parts also require handouts. As lexical inferencing is inherently a cognitive effort employing many strategies, a well-crafted and well-timed handout is essential as a record to remind the learners of the processes involved. This is by no means a conclusive study on how lexical inferencing strategies could demand high in the language classroom. 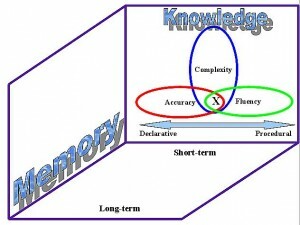 It is basically a hunch that by implementing these types of lessons, or lesson segments, that teachers may have an opportunity to plan for demand high teaching through top down and bottom up strategies where learners are forced to draw on their declarative and procedural knowledge systematically and increase their chances for language acquisition to take place. It is a schematic starting point for teachers who are interested in creating demand high lessons around lexis in general and lexical inferencing in particular but clearly has potential application for grammar focused lessons also. Burgess, A. (1962). A clockwork Orange. Penguin Books, London, England. Carton, A. (1971). Inferencing: A process in using and learning language. In P. Pimsleur & T.
Quinn (Eds. ), The psychology of second language learning (pp.45-58). Cambridge: Cambridge University Press. Graddol, C. Cheshire, J. & Swan, J. (1994). Describing Language. Buckingham: Open University Press. Haastrup, K. (1991). Lexical inferencing procedures or talking about words: Receptive procedures in foreign language learning with special reference to English. Tubingen: Gunter Narr Verlag. Hesse, H. (1973). Siddharta. Adelphi Edizioni S.P.A. Milano, Italy. Krashen, S.D. (1986). The input hypothesis: issues and implications, Longman. Licata, G. (2013). CLIL-The Middle Ages. Presented at:International House World Young Learner Conference, Rome, Italy, March 2013, unpublished. Lochhead, J. & Whimbey, A. (1987). Teaching analytical reasoning through thinking aloud pair problem solving. In J.E. Stice (Ed. ), New directions for teaching and learning, No 30. Developing crtical thinking and problem solving abilities (pp.73-92). San Francisco: Josey-Bass. Scrivener, J. & Underhill, A. (2013). http://demandhighelt.wordpress.com – accessed on May 27th 2013. Soria, J. (2001). A study of Ilokano learner’s lexical inferencing procedures through think-aloud. Second Language Studies, 19, (2), 77-110. Stern H. H. (1983). Fundamental Concepts of Language Teaching. OUP. Swain, M. (1995). Three functions of output in second language learning. In Cook, G. and Seidlhofer, B., Principle and Practice in Applied Linguistics. Oxford University Press. Thornbury, S. (2002). How To Teach Vocabulary, Pearson Education Lts., Harlow, Essex. Ur, P. (1991) A course in language teaching: practice and theory. CUP. Wesche, M. & Paribakht, T. S. (2010). Lexical inferencing in a first and second language: Crosslinguistic dimensions. Bristol, UK: Multilingual Matters. This is a very rare skin disease which is worth Googling and donating to as it gets very little publicity worldwide. Any revenue from this article is donated to Debra Italy.